You graduated from high school, your school days are over, and now you are facing the difficult decision of where to study. In our last blog article, we have already given you the best tips, on how to find the most suitable study program. Besides deciding on your study program, you are also confronted with the question, what university you want to enroll at. In this regard, Germany offers you a fundamental choice between public and private universities. The latter have sprung up like mushrooms in the last two decades. As of today, there are more than 120 private universities in Germany and about 7% of all students are enrolled at private schools. Given the growing importance of private universities, you should definitely consider whether studying at a private institution makes sense for you. We want to brief you on the basic advantages and disadvantages of studying at a private university. A widespread and persistent prejudice against private universities is that only the less intelligent children of rich parents go there, whose exam grades at high school did not qualify them for certain study programs at a state institution (e.g. medicine). Of course, there is no scientific evidence for that prejudice and, furthermore, it does not matter for our considerations in this article. We want to focus on the different admission requirements of private universities vis-à-vis state institutions. In contrast to state universities, private schools often have their own application procedures, which can range from a written application to an interview and/or an aptitude test. With these extended procedures, private universities want to ensure that on the one hand applicants apply for a suitable study program, and on the other, there is a fit between the future student and the university itself. So, whether you are eligible for a study at a private university not only depends on your average high school exam grades. Therefore, you should inform yourself in advance about the admission requirements at the private university that you are considering attending. Probably the biggest disadvantage of private universities, that keeps many students from enrolling at them, high tuition fees. Many schools charge more than EUR 5,000 per semester. At some top-level universities, you may have to put EUR 20,000 and more on the table. Nevertheless, please don’t let yourself be deterred by the sheer fee amount. Nowadays, there are multiple possibilities to finance your studies at a private academic institution. In addition to BAföG (the German state education advancement grant), many universities offer a variety of scholarship programs. In addition, these universities increasingly allow the so-called “postgraduate study fees.” These are calculated based on your future net income and therefore, they are due after the completion of your studies. And last, but not the least, many German banks offer special student loans, to finance your tuition fees and other study-related costs. Therefore, it is up to you to inform yourself about the different financing options. As far as the number and variety of study programs are concerned, private universities cannot keep up with the state-run academic institutions. Many large state universities in Germany offer well beyond 100 different study programs. Private schools generally have a much more limited program offer. Quite often, their selection of study programs is limited to a few courses in the fields of economics, engineering, and natural sciences. Social sciences and humanities rarely feature in the course program lists of private universities. This is mainly due to the fact that many private schools are financially supported by medium-sized and large companies. Of course, these companies do not sponsor universities out of pure generosity. In return, they are hoping to recruit more qualified students from “their” university. In fact, this does not have to be a disadvantage. After all, nobody forces you to start your career at a certain company as a graduate of a particular private university. Consider it an advantage that, you can establish close ties with a company during your studies, and thus, facilitate the start into your professional life. Another prejudice about private universities is that, studying there is easier than at a state-run university. After all, a private school simply cannot afford to scare off its paying customers/students. However, this prejudice should be taken with a grain of salt, given that, the quality requirements that all universities have to fulfill these days, are significantly higher than they used to be in the past. To this extent, no private university can afford to offer an inadequate study quality for a prolonged period of time. In addition, you should be aware that, since the implementation of the so-called “Bologna reform,” all study programs, whether offered at a private or a state university, must undergo the same accreditation process. This is to ensure that there are no private “fun universities,” which are exclusively money-driven with no regard for quality. Of course, you are free to get your own idea of the study quality at your desired private university. Check out some university rankings and find out, how your university of choice ranks in different assessment criteria. In contrast to most state universities, at private schools, you generally enjoy studying on a modern campus with excellent facilities. Due to their higher tuition fees, you will rarely have to put up with broken chairs, obsolete technology, and ramshackle toilets. An even more important advantage of private universities is the lecturer-to-students ratio. On the basis of their better financial resources, private schools are able to hire more teachers and thus, can guarantee students a better personal support during their studies. You probably won’t have to suffer overcrowded lectures and long waiting times for consultations with lecturers, which are the order of the day at many faculties of state universities. A third major distinguishing feature between state and private universities with regard to their learning environments is the study organization. You should be aware that studying at a private school is more “school-like,” meaning that you have a relatively fixed schedule for every semester and less time flexibility than at a state university. Thus, if you value your freedom of time, and if you have to factor in some extra time for other activities, such as a part-time job, sports, and hobbies, then you should ask yourself whether studying at a private university is the right thing for you. It is, of course, impossible to generalize the value of a degree and the related career prospects of a private university, compared to a state university’s degree. In this context, we would like to emphasize that the degrees of private and state-run academic institutions are formally equal—both enjoy the full state recognition. The value of a degree on the labor market primarily depends on the reputation of a university and a particular study program. Whether private universities in Germany have a higher reputation than state universities, cannot be said in general terms. There is no guarantee anyhow that a certain degree from a particular university, will open the door to a job at a specific company. At this point, we would like to repeat our piece of advice that, many private schools have very close ties with companies, which is certainly not detrimental to your career prospects. In many cases, these companies offer students of “their” university internships during their studies. Moreover, you should know that there are strong and quite important graduate networks from certain universities, who like to hire people from their alma mater. So, if you already have a specific career plan in mind, you better find out which university could be the most suitable “career springboard” for you. We hope that our article clearly describes the many advantages and disadvantages that are linked to studying at a private university. So, do reflect on these points before making your choice of where to study. In conclusion, we would like to point out that much like state universities, also private schools have very different profiles. Their study program offerings, admission requirements, tuition fees, qualities, and learning environments are far too different. So, do collect some detailed information on your private university of choice. 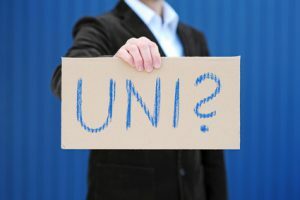 After a semester or two, and having accrued expenses of maybe EUR 10,000 and more, it would be quite unpleasant for you to find out that, you made a mistake in selecting your university. This entry was posted in Studies and tagged private universities, private university. Bookmark the permalink.